The Government of Sint Maarten together with the French Side authorities has decided to adjust the curfew from 9:00 PM till 6:00 AM as of today, Monday September 25th. The new curfew hours will be in effect until Monday October 2nd 2017. The joint decision was taken during a meeting on cross-border cooperation on Monday afternoon. 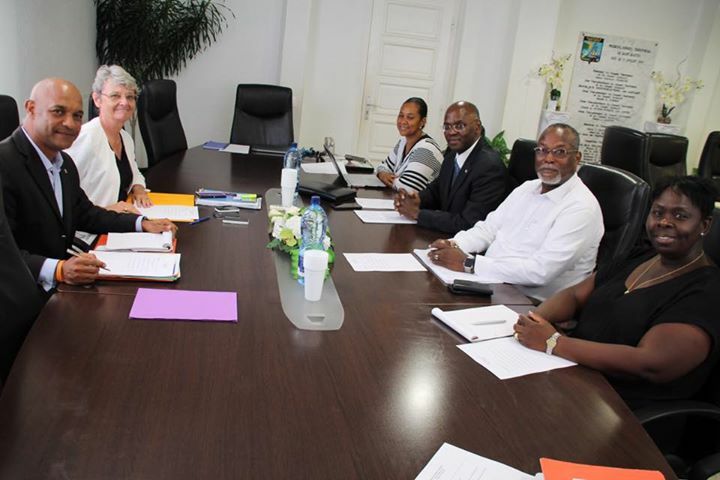 In attendance was President of the Collectivitie Daniel Gibbs, Prefet Anne Laubies, His Excellency Governor Eugene Holiday, Minister of Justice Rafael Boasman and Minister of Tourism Melissa Arrindell Doncher. Residents are requested to respect the new curfew hours, the law enforcement authorities will conduct the necessary patrolling. Maintaining the curfew will aid in the clean up of the island and enhances the public order and safety of businesses and residents. Curfew has been adjusted from 9 PM to 6 AM.